There are no comments for In Use. Click here to post the first comment. This little outhouse is occupied! 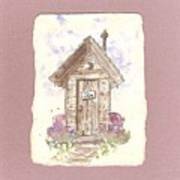 Outhouses are a part of our history that often gets forgotten. 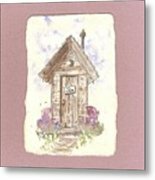 In my travels, I've seen many different types of outhouses in various states of repair- some abandoned and crumbling, while others are treasured, decorated, and surrounded with flowers. Most are pretty rustic, some are fancy, and a few echo the architecture of the main house they stand behind. 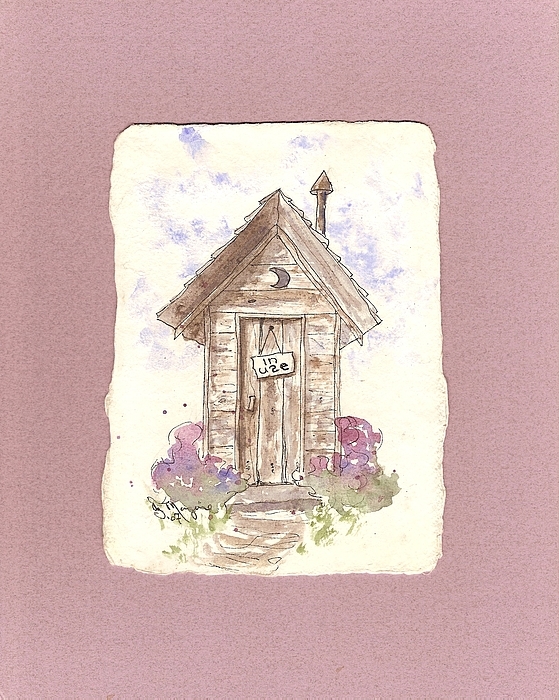 The Outhouse Collection is an ongoing series of paintings inspired by these tiny buildings so full of character, in an effort to preserve a part of our history so often overlooked. The original paintings are done in watercolor with ink accents on hand-made paper. 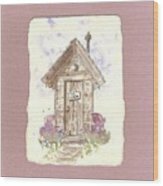 This one is on a colored background to accent the rustic edges of the handmade paper.